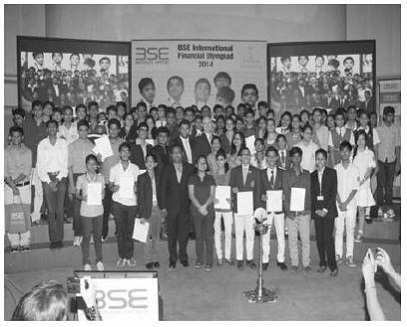 Bombay stock exchange[BSEI] in association with Eduheal Foundation[EHF] is on a look out for the brightest of financial minds from the Indian schools. 1st BIFO Awardee Principals, Teachers and EHF regional Coordinators with Sh. A.K. Chauhan, B.S.E. CEO; Sh Charan Sapra, MLC & Senate member (Mumbai Univ. ); Sh. Ambarish Dutta, MD and CEO-B.S.E. Institute Ltd and Dr. Sandeep Ahlawat, Managing Trustee-EHF. 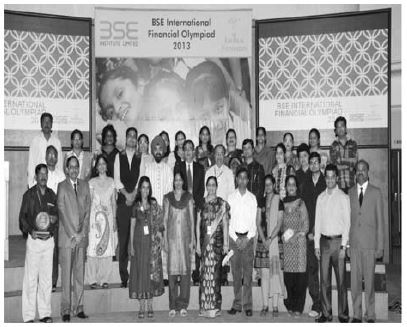 3rd BIFO Prize distribution ceremony, conducted on 11th April at international convention hall, BSE Mumbai, Mr. S.P. Rana, jt. Sec, CBSE was the chief guest. 2nd BIFO chief guests Ambarish Datta CEO BSEI, Dr Sandeep Ahlawat, Managing trustee Eduheal Foundation, Ryan Pinto, CEO Ryan group of institutions, Patrick Kearins, Australian trade commissioner & Mr. Vasudevan BSE investors protection fund. 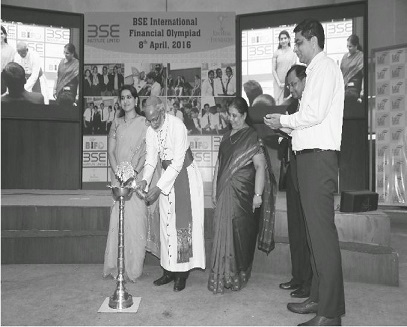 Prizes worth 50 lakhs were distributed at the function on 11th April at the iconic BSE building at Mumbai. 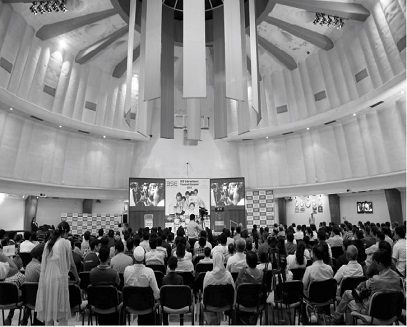 4th BIFO chief guests(R to L) Dr Sandeep Ahlawat, Managing trustee Eduheal Foundation, Ambarish Datta CEO BSEI, Ms Dipti Neelkanthan, Director JM Financial Services, Archbishop Dominic Savio and Shaina N.C., Spokesperson BJP at the function on 8th April at the iconic BSE building at Mumbai.